Foam-based earplugs are usually made from Polyurethane. This material is dense enough to reduce the amount of noise that enters the ear but soft enough to be squeezed into the ear canal. The user should squeeze and roll the foam so it’s easy to insert into the ear canal where it slowly expands and completely blocks the passage. Pros: Very cheap – you can buy a box for only a few pounds. These plugs are disposable and offer good sound protection. Cons: Not as comfortable as custom-made earplugs. Prone to falling out, especially for those with large ear canals. Silicone is a soft gel-like material that when combined with plastic and other materials, can be moulded into a flanged earplug that reduces the amount of sound entering the ear canal. 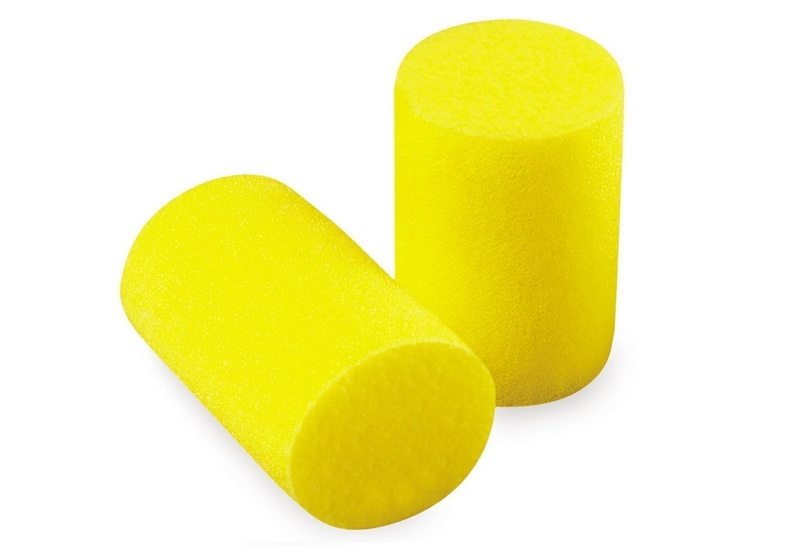 These earplugs are popular with musicians and DJs and are usually more breathable than their foam competitors, perfect for situations where you are sweating. Pros: Ideal for musicians and sports users alike. 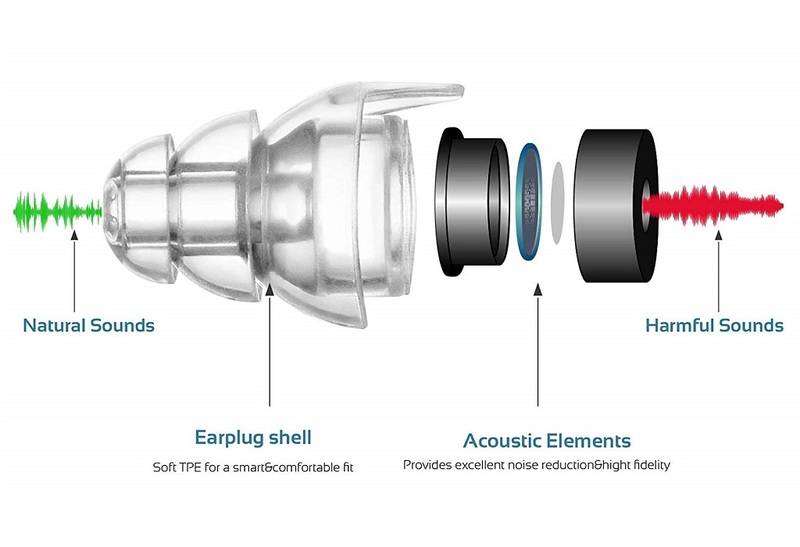 Reusable and affordable, these earplugs can be designed to allow good quality sound to pass through. Cons: The least comfortable of the three earplugs, these are not always suitable for sleeping as they may press against the ear. 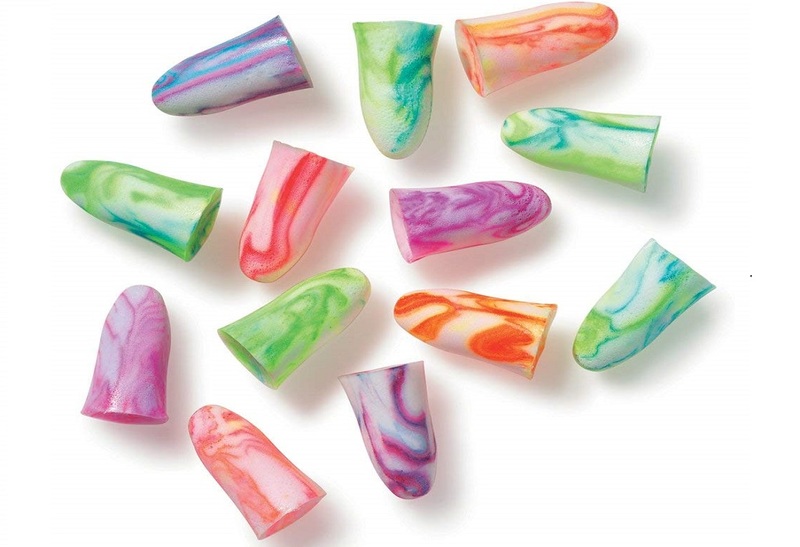 Several manufacturers now produce moldable earplugs, you warm up a waxy/silicone material and insert it into your ear until dries into a harder material that fits snugly. An alternative is to choose a company that specialises in custom-made earplugs that are made precisely to your ear’s measurements. Pros: Professionally made custom earplugs offer the best experience in terms of comfort and performance. Cons: Self-made moldable earplugs often dry hard and aren’t comfortable. Professionally made custom plugs are expensive and there’s a lead time of 3-4 weeks after the mould was taken. The team here at Gifted Geek previously tested the best soundproof curtains you can buy but if you need to block more sound, check out our guide below. 1) Check the size of the product, some manufacturers sell products for various ear sizes. 2) Look for the NRR – Noise Reduction Rating, especially if you need the plugs for work situations. 3) Check if the earplugs are washable if you’ll be using them, for example, on a building site. 4) Check if the earplugs sit snugly inside the ear or protrude where they may interfere with headphones or other safety wear. 5) Look out for high fidelity earplugs if you work in the music industry. These preserve the original quality of the music, only quieter. These earplugs have been designed specifically for concerts or festivals in mind. 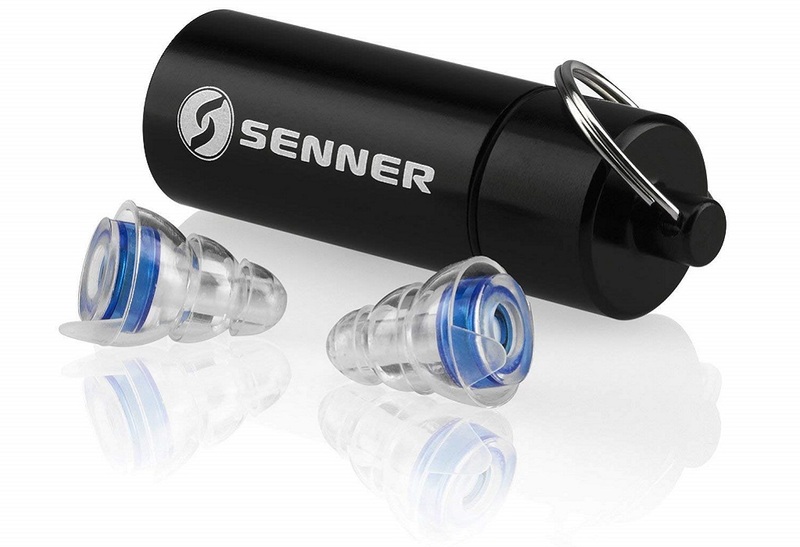 Senner uses patented membrane filters to dampen out loud music while still allowing the user to experience the full spectrum of sound – the highs and the lows. They do not simply block out all sound like traditional foam earplugs so music lovers enjoy a more authentic sound. They are crafted using a triple slat design which means they adapt to an individual ear and can be removed easily with the pulling strap. The material used to craft them is transparent which makes them hard to see while also being hypoallergenic which means they are suitable for all day at a festival or at extended band practices. The finishing touch is a tough aluminium box to keep them safe which also has a handy key ring to attach to a set of keys to make sure they aren’t forgotten when heading off to a concert. Moldex earplugs come in a variety of colours and work well to block irritating sound. According to EN 352, they will absorb 35 dB of noise on average so are suitable for use at work to cut down on potentially harmful noise, as well as to help light sleepers get a better night sleep. They are also suitable for any other situation where a noise reduction is required. With this set, you get a number of multicoloured earplugs with each pair packed hygienically in its own small transparent bag. They are all housed in a carton with a handy drawer to dispense each pair when needed. These slim fits are similar to original Mack’s Safe Sound but they are a bit smaller. They are made from cutting-edge foam that is very low pressure and releases slowly in the ear for extra comfort. This makes them perfect for use over extended periods of time and works well for sleeping, studying without distraction, in the workplace, and any other situation when sound cancellation is needed. They are available in multi-packs and include a carry case and can reduce outside noise by 29 decibels. They have been recommended by doctors and offer top-tier comfort and levels of hygiene. 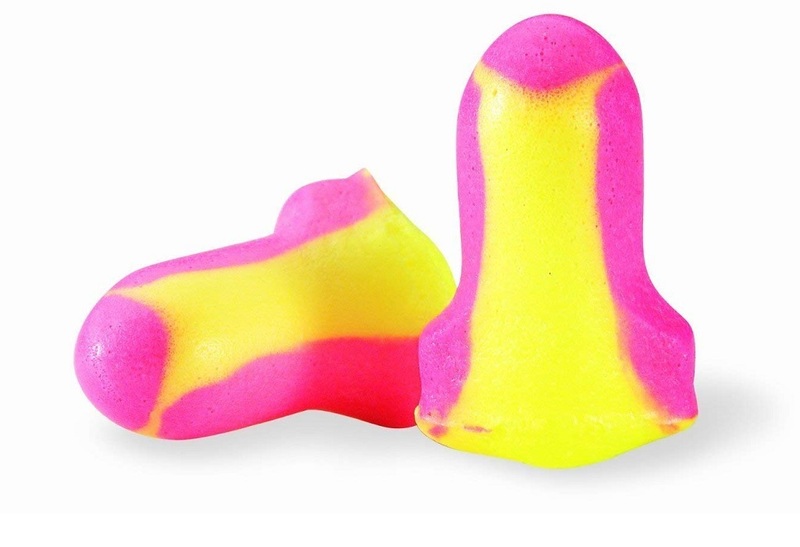 These brightly coloured earplugs can be used in a variety of situations such as for sleep, but are particularly well suited to the workplace due to their conspicuous nature. They can easily be seen therefore it is obvious that they are being worn at work when required. Made from polyurethane foam that is low pressure so it expands gradually and gently when inserted into the ear canal and can be comfortably worn for long periods of time. Crafted to a T-shape to help with insertion, these earplugs are available with dispenser options for ease of use and to comply with low waste industries. 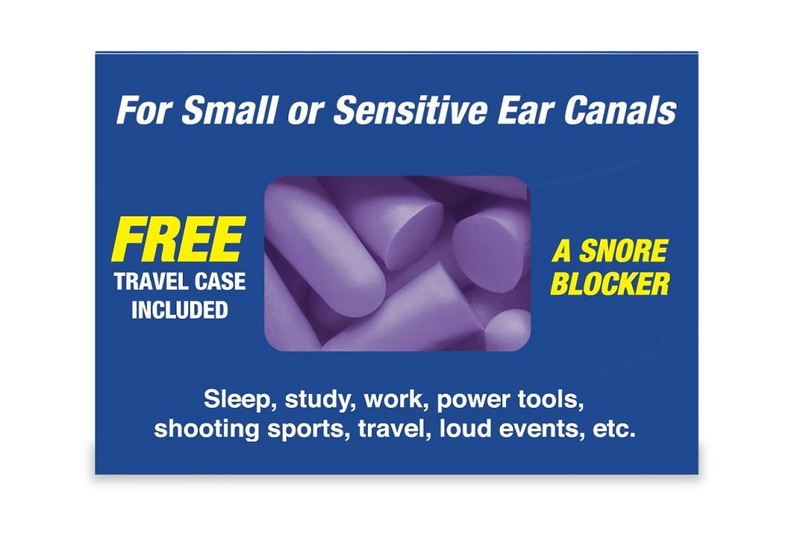 Like the name suggests these are your classic foam earplugs that can be used in any situation that requires dangerous or annoying noise to be blocked out. They are compliant with EU safety standards and work well in conjunction with other personal protective equipment. They are made from polymer foam that is energy absorbing and reusable. These earplugs are hard working and provide an excellent level of hearing protection and are comfortable enough to be worn all day, or night if you need them to go to sleep. Smaller versions are also available for those with smaller ear canals. This pair of earplugs from Mumba are perfect for musos and party or concert goes due to a unique filter that blocks out loud and annoying sound while retaining the ability to hear music and voices clearly. These filters can block out around 24 dB while still allowing a wide spectrum of frequencies in to retain sound quality. They can be used in a wide variety of situations to block out dangerous sound – music, motorcycle noise, airplanes, for drummers and a whole lot more. These hypoallergenic earplugs are reusable and fit perfectly into the ear canal discretely and are easy to insert and remove. They come in a carry case that can be attached to a key ring to ensure that you always have your hearing protection with you. 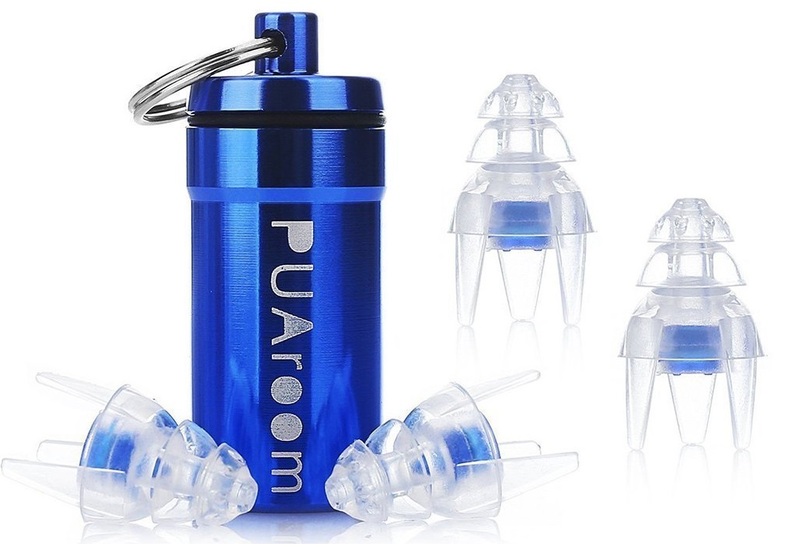 PUAroom have produced a set of earplugs that are designed to be worn when you are concerned about harmful levels of noise but still wish to preserve a high quality of sound. This makes them ideal for concerts, festivals, band practices, DJing and more. They have been created with a three pull tab design that means that are easy to remove and eliminate the worry of getting stuck in the ear. The filter on these ear plugs has been designed to ensure that they are comfortable for long-term use and fit well in the ear canal. Produced from silicon that is soft and comfortable so the user won’t even be aware that they are in use. They let in a good quality of sound while keeping the ears safe from loud and dangerous noise. Alpine has been making earplugs for twenty years and this is showcased in this model. 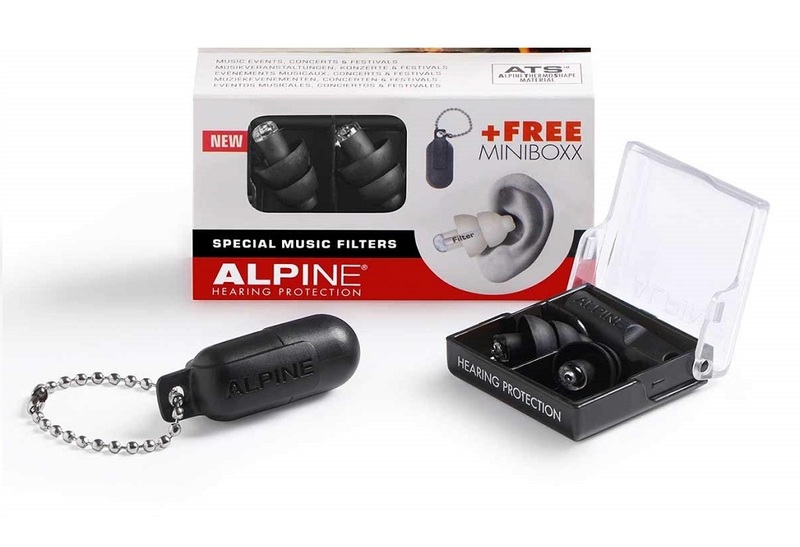 To avoid loud music on a night out clubbing and partying and the potential hearing loss this entails Alpine has created the PartyPlug earplugs. These absorb the loudness of music without sacrificing the quality and are perfect for musicians, parties, festivals and other loud events. These filters are transparent so other people will hardly notice if they are in place and are built from ThermoShape material. This means that they mould to fit the individual ear so the fit is just right and they stay in place in the ear canal. They are very comfortable and hypoallergenic to prevent irritation and itching both in and around the ear so can be worn for long periods of time. They come in an attractive carry case and come in a variety of colours as well as transparent. We are not affiliated or associated with Mercury Hearing in any way and cannot vouch for the quality of their products but they do have an informative website with details about your options and the moulding process.